This article reviews the potential effects of the female steroid hormone fluctuations during the menstrual cycle on exercise performance. The measurement of estrogen and progesterone concentration to verify menstrual cycle phase is a major consideration in this review. However, even when hormone concentrations are measured, the combination of differences in timing of testing, the high inter- and intra-individual variability in estrogen and progesterone concentration, the pulsatile nature of their secretion and their interaction, may easily obscure possible effects of the menstrual cycle on exercise performance. When focusing on studies using hormone verification and electrical stimulation to ensure maximal neural activation, the current literature suggests that fluctuations in female reproductive hormones throughout the menstrual cycle do not affect muscle contractile characteristics. Most research also reports no changes over the menstrual cycle for the many determinants of maximal oxygen consumption (V̇O2max), such as lactate response to exercise, bodyweight, plasma volume, haemoglobin concentration, heart rate and ventilation. Therefore, it is not surprising that the current literature indicates that V̇O2max is not affected by the menstrual cycle. These findings suggest that regularly menstruating female athletes, competing in strength-specific sports and intense anaerobic/aerobic sports, do not need to adjust for menstrual cycle phase to maximise performance. For prolonged exercise performance, however, the menstrual cycle may have an effect. 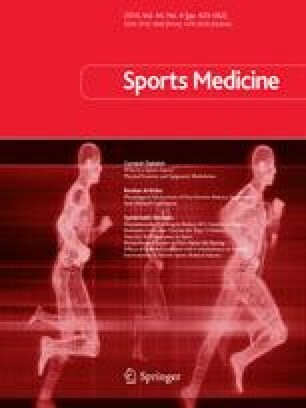 Even though most research suggests that oxygen consumption, heart rate and rating of perceived exertion responses to sub-maximal steady-state exercise are not affected by the menstrual cycle, several studies report a higher cardiovascular strain during moderate exercise in the mid-luteal phase. Nevertheless, time to exhaustion at sub-maximal exercise intensities shows no change over the menstrual cycle. The significance of this finding should be questioned due to the low reproducibility of the time to exhaustion test. During prolonged exercise in hot conditions, a decrease in exercise time to exhaustion is shown during the mid-luteal phase, when body temperature is elevated. Thus, the mid-luteal phase has a potential negative effect on prolonged exercise performance through elevated body temperature and potentially increased cardiovascular strain. Practical implications for female endurance athletes may be the adjustment of competition schedules to their menstrual cycle, especially in hot, humid conditions. The small scope of the current research and its methodological limitations warrant further investigation of the effect of the menstrual cycle on prolonged exercise performance.